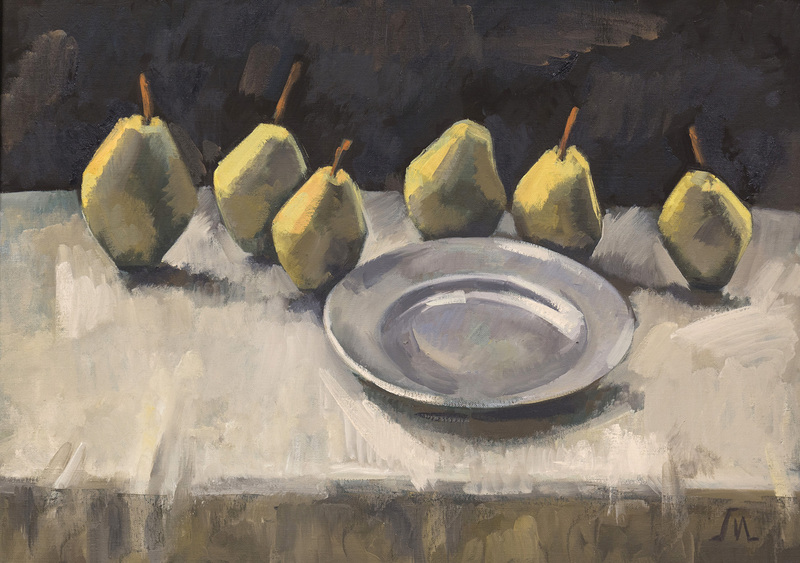 The genre of still life has long moved beyond its original, purely decorative, function. «Animate» and «inanimate» objects are tightly connected in this art striving to express the subtle nuances of human emotions, the spirit of the time and the complex inner life of the creator. Tatyana and Maria Ivanovs represent a bright family tradition which goes back to Victor Ivanovich Ivanov, a brilliant USSR-era artist, whose paintings are marked with austerity in color and monumentality. 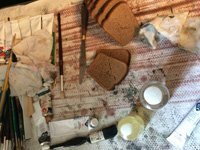 His daughter and granddaughter, who have been directly influenced by living in the artistic environment, discovered their own ways to express artistic ideas. And both of them find still life a fascinating genre. Tatyana Ivanova’s still lifes are incredibly exquisite, both in their color scheme and execution. The first thing which catches the eye is laconism of images: there is not a single extra object or detail or tint. Each color nuance is in concordance with the other, forming a perfect harmony. 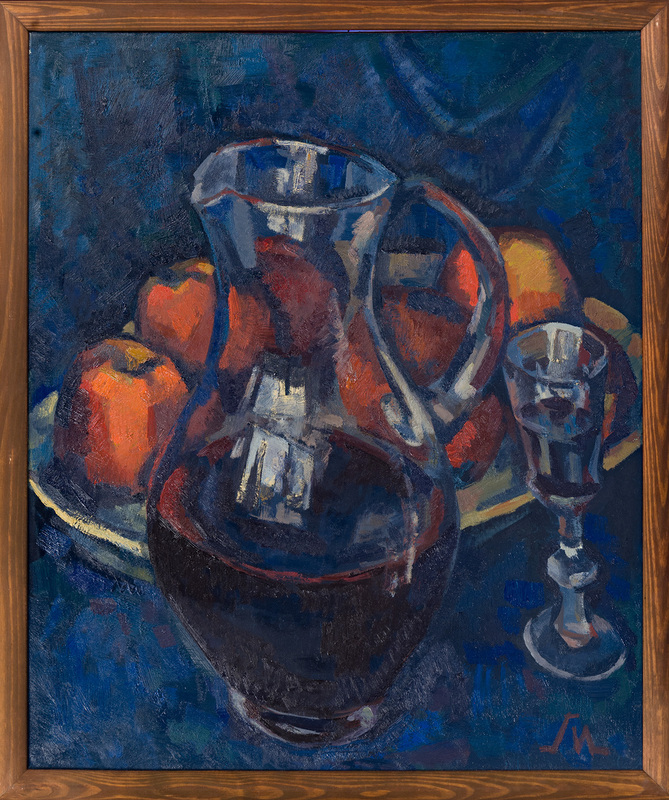 For instance, her “Still Life with Grapes” is painted in blue and purple colors which flow into one another, getting deeper or melting, producing soft shadows. The Cezannesque palette makes the objects look unreal unambiguously reflecting the inner state of the author rather than depicting reality. 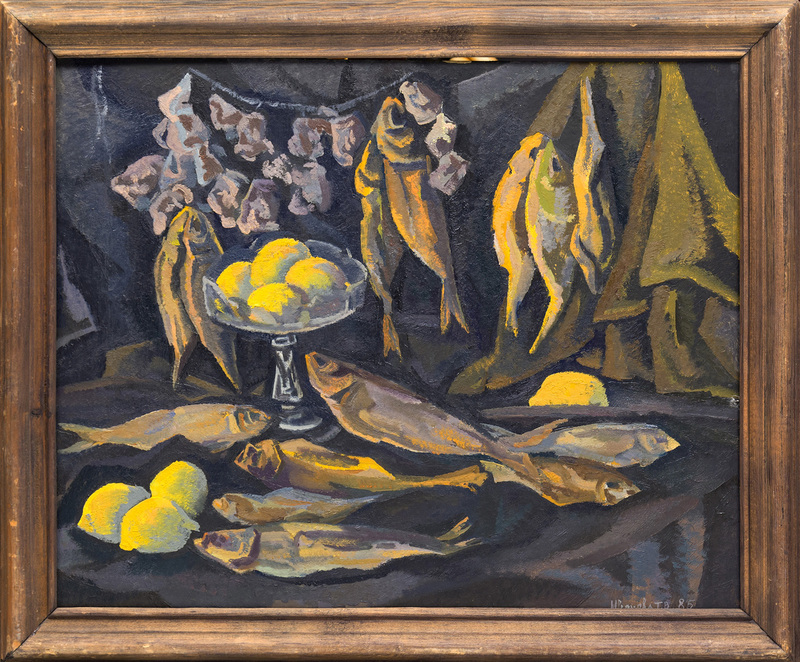 A similar impression is produced by the enchanting still life “Still Life with Fish”, where the dark background seems to give birth to pale yellow lemons and “gilded” fish trunks. The picture is so dynamic that in an instant you start doubting that you are actually looking at “dead nature” but more likely at a mysterious world of fish the artist managed to catch a glimpse of. “Strawberry bouquet” is created in a reserved and lyrical fashion both in color and in composition. The dark shades, the quivering reflection and sadly bent stems convey inner tension and dramatism. This is more of a reflection on the fast flow of time bringing up Andersenesque melancholy in heart, than a mere still life. 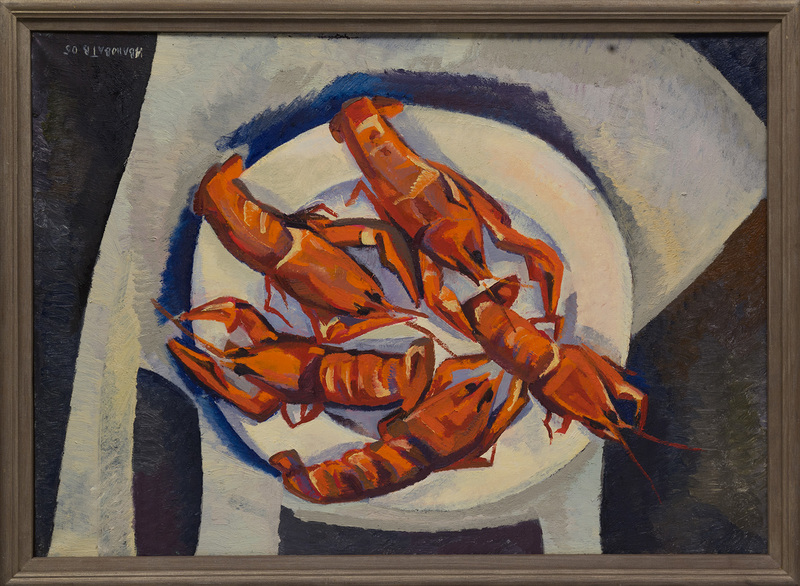 Meanwhile, the artworks of Ivanova Senior may be extremely vital flooding the viewer with their hunger for life in such still lifes as “Three pieces of Watermelon” and “Crayfish”. Being different in their color solutions, they both manifest power and energy overcoming “dead nature”. Maria Ivanova’s artworks remind of a deep meditation and sometimes possess a subtle Asian fleur as, for example, in “Still Life with Pink Cloth” or “Little Boat”, where the combination of grey, pink, blue and ochre emphasize the dreaming part of reality which won’t acquire clear outlines, intoxicating and drawing you into the world of phantasmagoria. Dutch-style austere “Pears” tells another story: they do not look like ordinary fruit at all but rather like “live” characters of Gianni Rodari having a stormy discussion about their complicated existence in a frugal country house. Each still life by Ivanova Junior is a whole new story lived by the objects right before the viewers’ eyes. 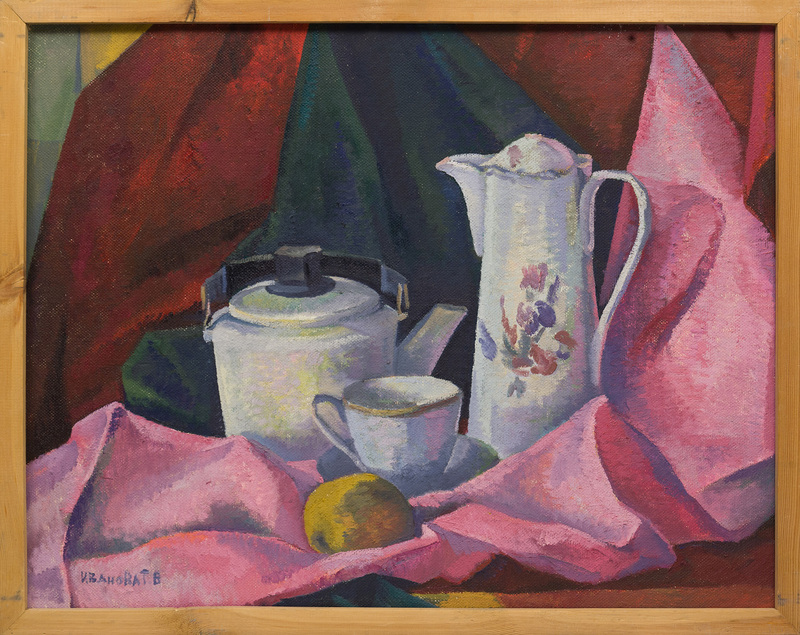 As the artist herself says when defining the genre: “Still life is a dialog, a dispute, sometimes a heated one”. 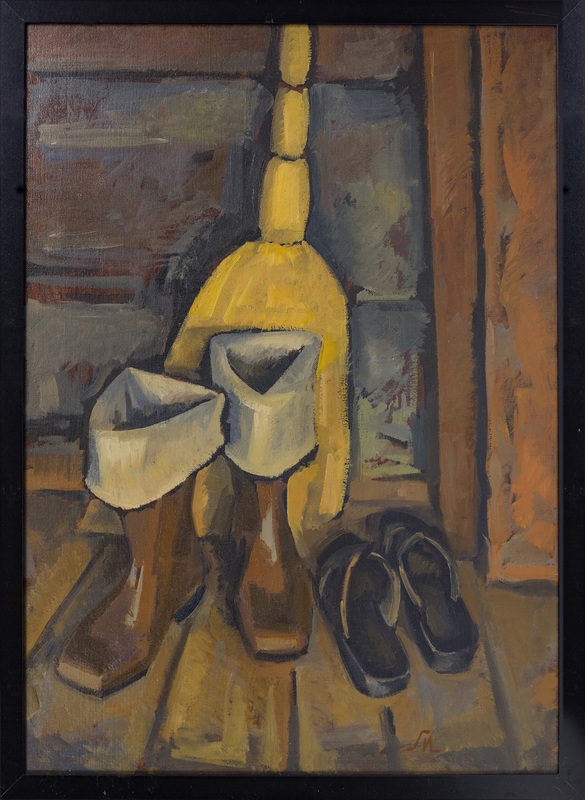 Her painting “By the Door” is a splendid example of such a heated discussion between the confident boots, which feel themselves masters of the situation, and huffy slippers which may rely only on the support of the reticent broom. A completely different tone system can be viewed in still lifes “Glass Jug”, “Flowers and Green Pears” and “Flowers”. Dark blue and purple colors reign here giving the impression of velvety texture and emotional fullness. They have an aura of peacefulness and inwardness in a world where each object has value and at the same time is inseparable from the environment allowing it to be for a few miraculous moments only to be absorbed afterwards. Still Life is a whole philosophy, an ongoing challenge for an artist who strives to overcome the limits of three-dimensionality. It is not surprising though that this laconic style gives birth to such a variety of canvases. Frugal means stimulate the creator to search for more and more expressive ways to reveal his or her utmost aspirations. 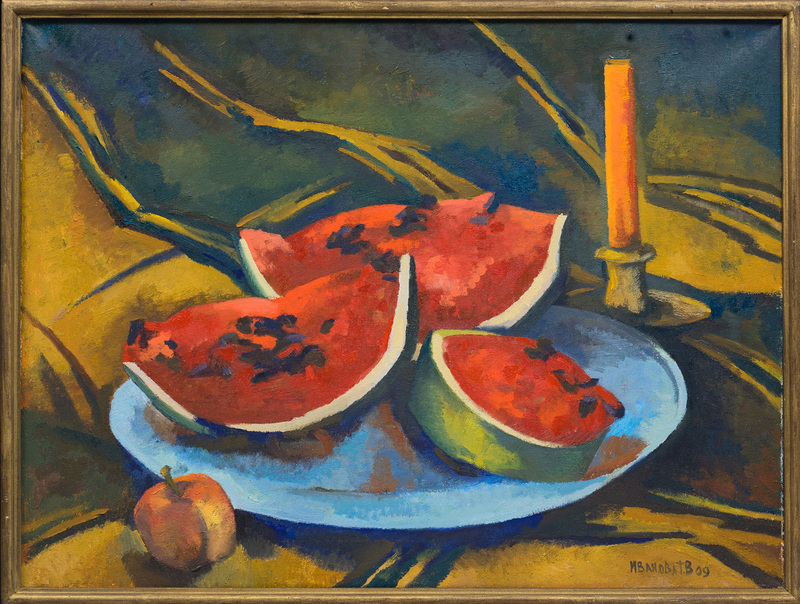 Still life requires not only focused attention but also a long-term relationship. With each new glance it uncovers another meaningful layer, being a sort of a portal which invites us to look beyond the objects concealing multi-dimensional existence we have not yet experienced. At the same time, it does not lose its essential function of decorating and enlivening the environment. If you put up a still life, which for some unknown reason has captured your imagination, on your wall you might make an unexpected discovery one day: the canvas covers the door to the fairy world we all dream of getting into.